I have to be honest, I don't like my teeth at all. sensitivity that I stop using after a few days. up social media and was very intrigued by it all. whiter teeth in 14 days or your money back!! it, you can return it for a full refund. 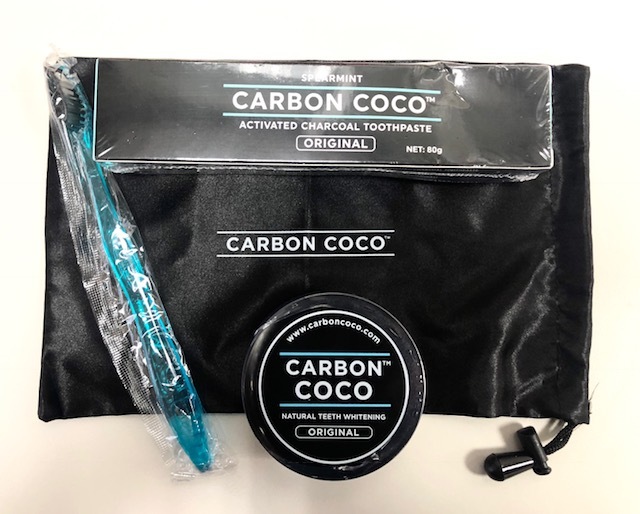 To learn more about Carbon Coco, visit here. Are you fan of teeth whiting?? *I received this product complimentary from Carbon Coco. I need to check this out if you have good results. I have to use Sensodyne toothpaste daily and cant stray or my teeth kill me. I hate my teeth and would love to be able to at least brighten them some! I am always curious about sensitivity using thins like this. 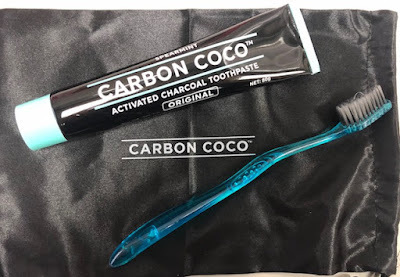 i have been super intrigued by charcoal toothpaste and this is right up my alley. 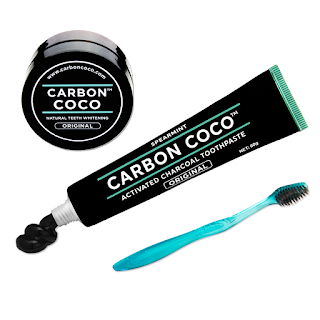 i use white strips but they totally make my teeth sensitive too. will have to try this! This looks so interesting! Can't wait to check it out.